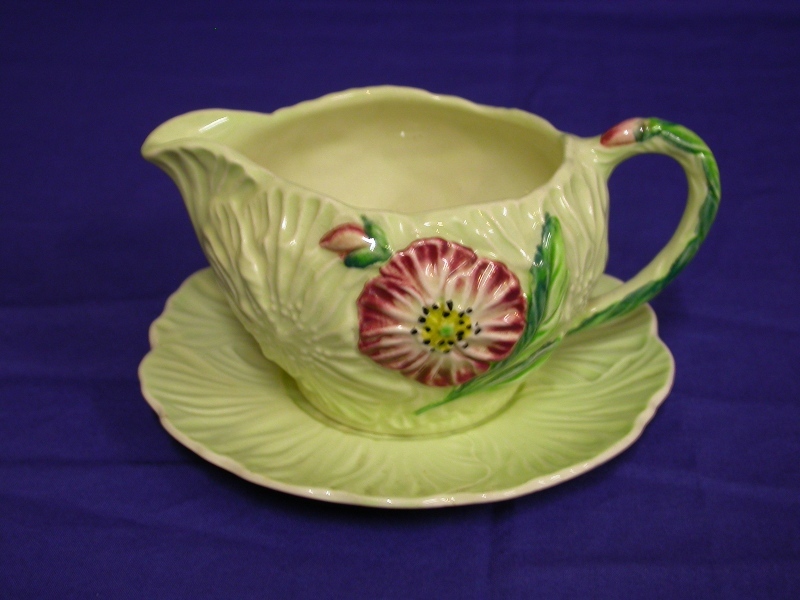 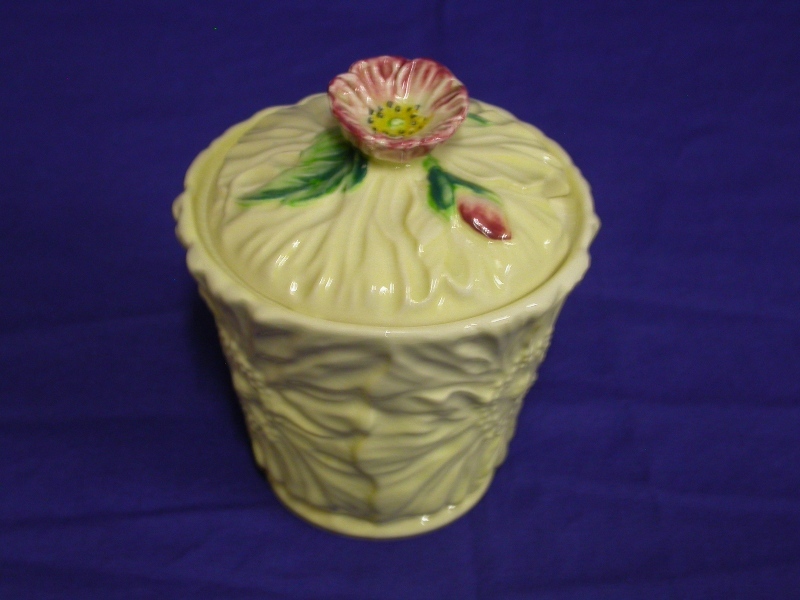 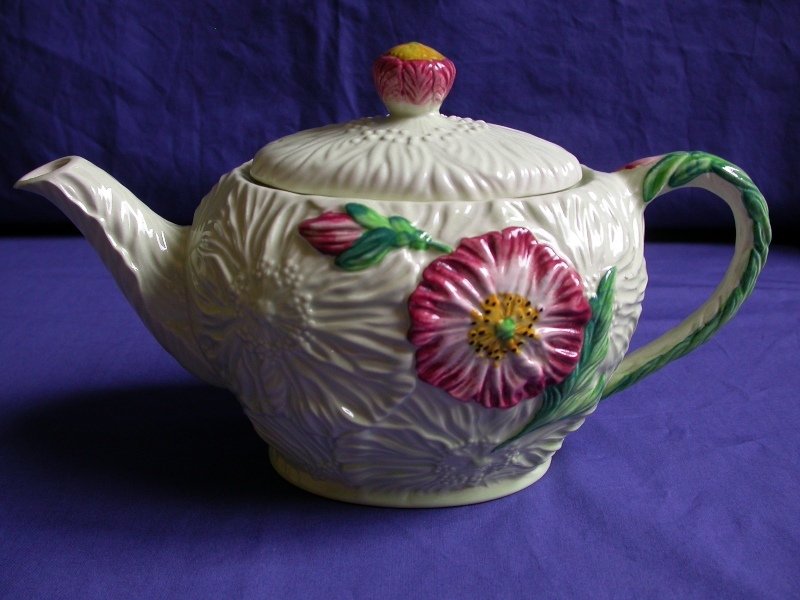 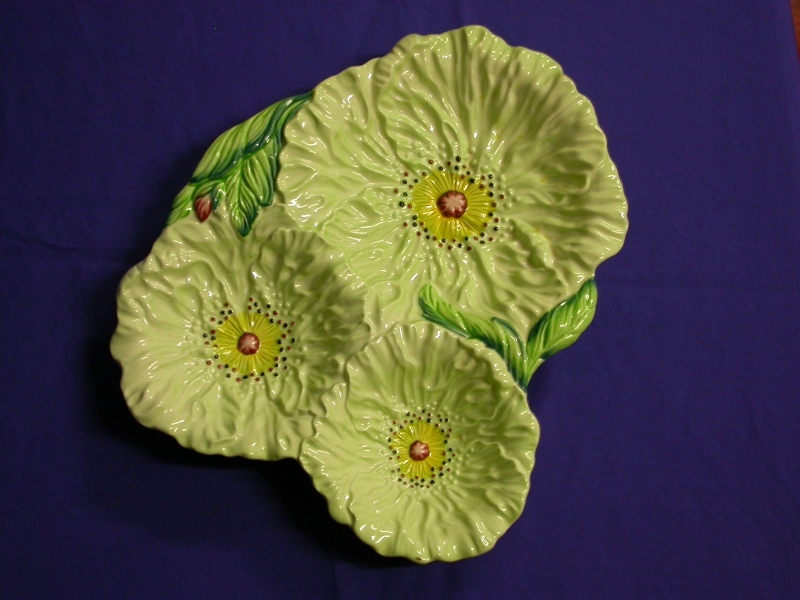 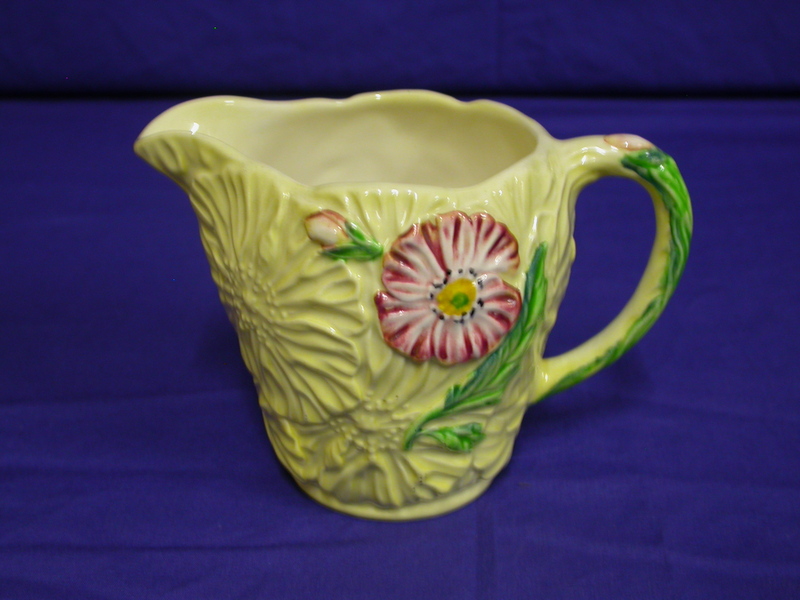 This beautiful embossed Carlton Ware design was introduced in the late 1940's and continued into the early 1950's.� It was made in the colourways of pink, yellow and green. 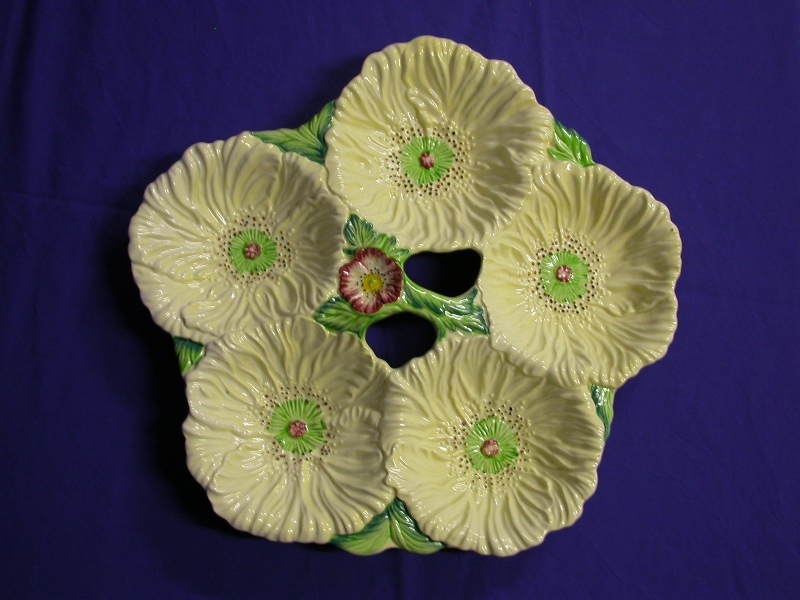 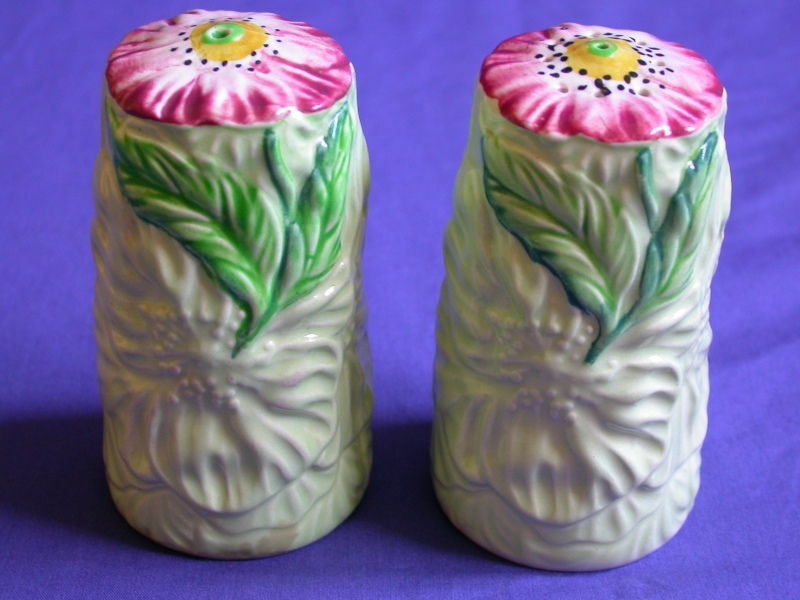 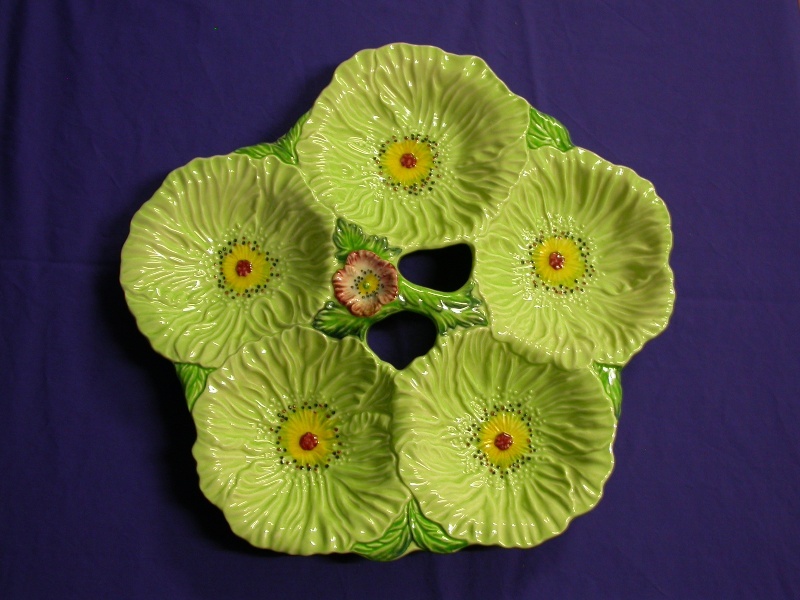 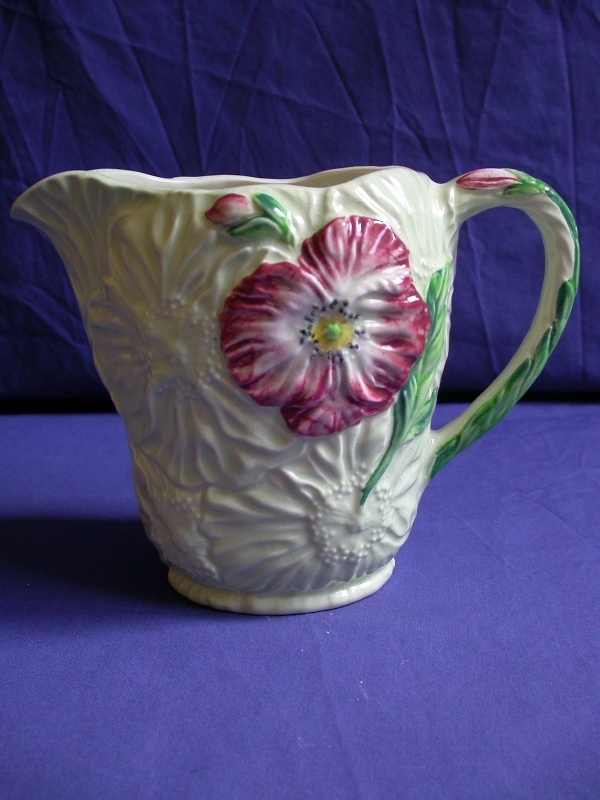 The Poppy pattern is very different from the Poppy & Daisy range and cannot be confused.� This is because the Poppy design is formed into the shape and the finish of the pieces; thus creating the detail of many flower heads that overlap each other with many folds and details on the petals within the embossed design of the pieces. 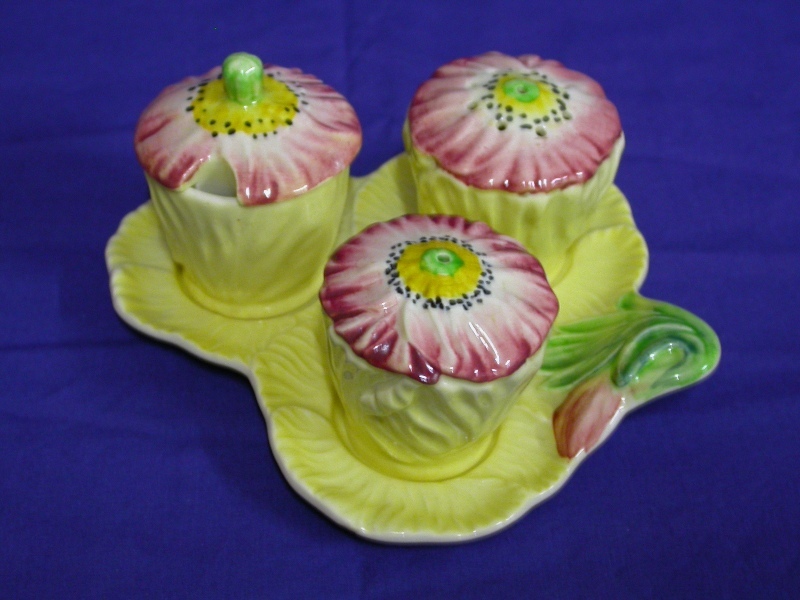 The brightly painted Poppy head has black and pink stamens that surround the heavily embossed yellow, pink or green centre.� All pieces, with the exception of the bon bon dish show a fern-like leaf similar to that of an oriental poppy which often curves around the edge of the piece, similar to the Tulip design. 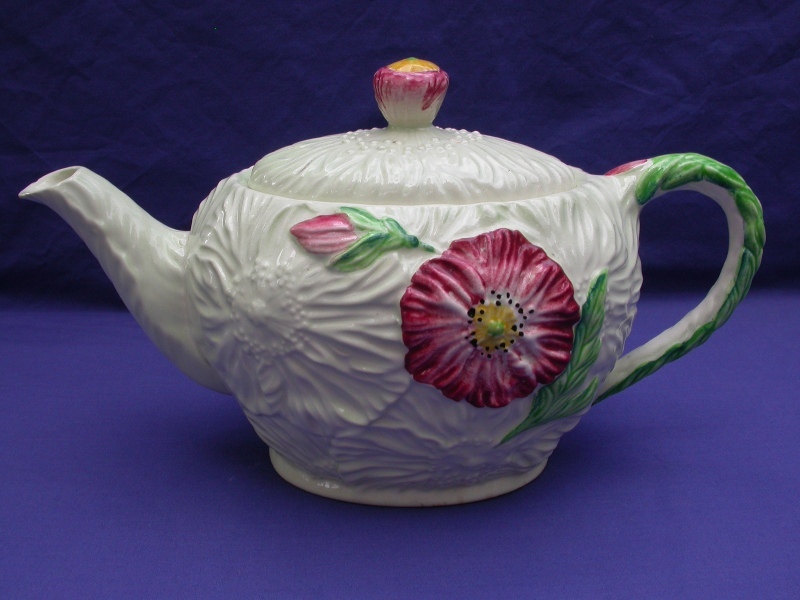 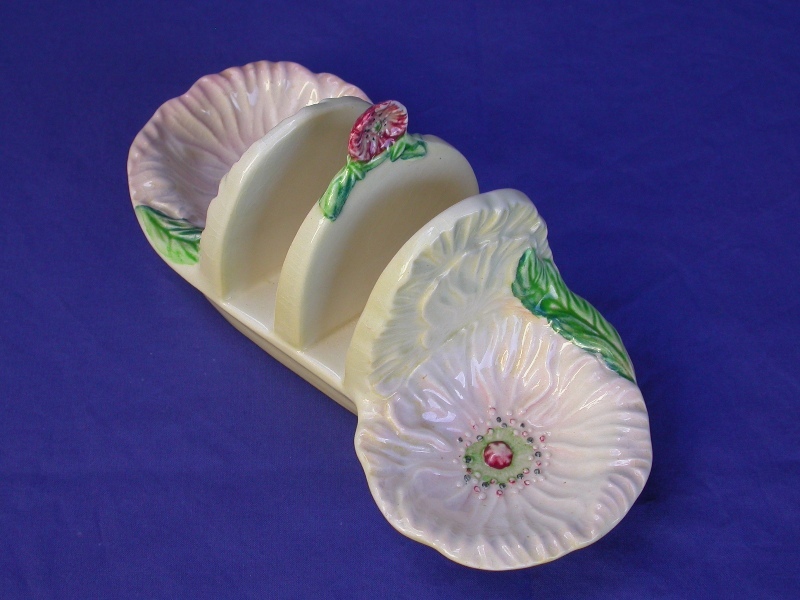 This really is a fabulous addition to the famous embossed flower ranges.� And, as usual, Carlton Ware did not scrimp on the lovely realistic details to the finished design of all of the pieces in this range.